One of the things which continually boggles my mind is the amount of treasure Napoleon and the French forces looted from the countries they conquered. This is looting on a scale not seen since, well, the Romans, if then. For example, when he invaded Malta in 1798, ostensibly to liberate the Maltese people from their traditional (read repressive) rulers, the Knights of St. John, within a week he had also ‘liberated’ seven million francs worth of treasures from island’s monasteries, churches and residences. Equally, so many valuables such as gold plate and personal jewelry had been ‘liberated’ that there was never enough time to take a full accounting. A few short weeks later, when he left the island in order to ‘liberate’ Egypt from its Ottoman Turk overlords, the state treasury was emptied. That’s right, totally emptied. And at least half of it went into Napoleon’s own, er, purse. In Egypt, he liberated as much treasure, ancient and modern, as he could find. But sadly, due to his abandoning his army just a year later, he didn’t have enough time to pack. And when the British navy was brought in to repatriate the abandoned French troops, they (strangely) refused to allow the French to take all their stolen booty with them. And all this, after Napoleon had ‘liberated’ the treasures of Italy, including the iconic bronze horses from the facade of of San Marco in Venice…to adorn the Arch de Triomphe, of course. Much of the artwork ended up for a while in the Louvre. But in the post-1815 peace dealings, the French were forced to send back much of what they’d stolen. Though many works still remain in French hands or had been ‘lost’ by the soldiers assigned to transporting them. Now it transpires that Napoleon had similar plans for the wealth of Russia and particularly that of Moscow…but the weather may have prevented him from carting off all the goodies, which included jewelry, candles, paintings and even the large cruciform bell from the heart of the Kremlin. Two hundred wagons’ worth, one is led to understand. The Russian scholars start digging soon. So soon, we’ll know…And how brilliant is that? As for the rest…? Well, one day, I shall take the time to add up the amount he pillaged from treasuries throughout Europe (if I can count that high) …much of which just, er, disappeared into his pocket. As a post script (28-viii-10), I feel I should add that according the Dominic Lieven’s fine Russia Against Napoleon, 1807-1815, most of what the French troops took or intended to take home from Russia, following their occupation and pillaging of Moscow, ended up in the Berezina. Or scattered across the plains as the horses died from the cold in early November–without animals to pull the wagons, the treasures were simply abandoned. 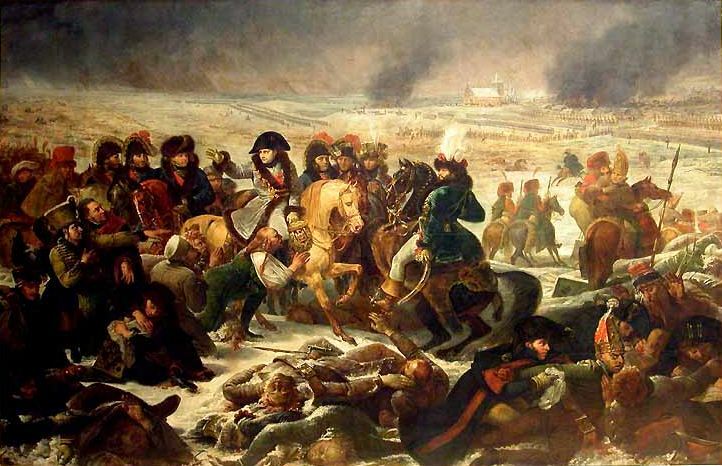 This entry was posted in Did You Know?, History and tagged 1812, History, Invasion of Russia, Napoleon, Napoleonic history. You can read mine to learn about the eating habits of native cultures. LOL! I have a metal detector (my daughters)… how much is a one -way ticket to Russia, and do you know enough to make it worth me kidnapping you on the way? The Russians are being suitably vague about where they’re digging for just this very reason…I’ve never wanted the stuff, you know, I just…well…I just want to gape I suppose. Metal Detecting is a hobby for most, looking for that lost ring can be a parttime job for others, then a very few that treasure hunt do the research of our past and use that to find what has been lost…remember Mel Fisher? He did yrs of research, many yrs in the water, lost part of his family during the 16 yrs looking for what he believed was lost…he did succed.